Your mind starts wandering over ways to help her that go beyond the bag of chemo you give each week. At the next few appointments, you notice that she is never without her earbuds and music. As she sits in the chair, eyes closed, she quietly drums her fingers to a beat you can't hear. Could this be the way to help Mrs Smith? You have read a few stories about drumming as a means of helping patients with breast cancer deal with emotional side effects. But does it work? Life is set to a rhythm. The first sound heard by every child is the beat of their mother's heart. It is no surprise, then, that the beat of a drum can bring peace, calm, and even transcendence to a hurting soul. According to the American Music Therapy Association, music therapy combines the clinical and evidence-based use of music interventions to help patients reach specific goals.1 It addresses physical, emotional, cognitive, and social needs. Patients work with a music therapist to create, sing, move to, and/or listen to music. Drumming can be used as a type of music therapy. In a 2017 interview with Medscape, Theodore Zanto, PhD, a top music therapy researcher, states that the rhythmic sounds of music and drumming can be healing.2 Similar to meditation, drumming produces positive mental health effects in patients. The brain is also rhythmic, so during drumming, the brain is interpreting every sound wave created. Drumming creates both a sound and a physical effect on the body. This creates a good environment for meditation and relaxation to take place. Reduces tension, anxiety, and stress. Drumming releases endorphins and oxytocin, hormones that elevate mood and decrease stress.4 Breast cancer treatment is stressful, and drumming offers patients an outlet. Enhances connection with others. Drumming classes are often done in a group setting, which helps create a connection between the instructor and students. Each person is challenged to connect with their own spirit and the spirits of others in the group during class. Community and connection is important during breast cancer treatment and beyond—having someone else understand firsthand what you are feeling and experiencing can be healing and validating. Releases negative feelings. This form of self-expression can help release anger, frustration, and fear. Literally drumming out and releasing negative feelings can improve the overall health and well-being of patients with breast cancer. Generates enjoyment. Patients who take part in drumming on a physical, emotional, and cognitive level will likely experience many positive effects, similar to those of exercise, laughter, and meditation. Drumming is still a relatively new complementary therapy in the United States, but it has been used for centuries in other countries. If you have a patient with breast cancer who might benefit from drumming or another kind of music therapy, talk with your supervisor about opportunities in your facility or community. You can also search for classes and music therapists online at the American Music Therapy Association's website. Melissa Mills, BSN, RN, CCM, MHA is a freelance healthcare writer and the owner of MakingSpace.company. 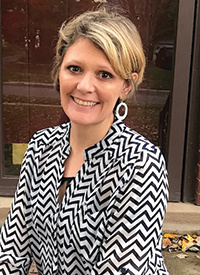 She has been a registered nurse for 20 years and is passionate about case management, nursing leadership, and finding the right care for patients in every setting. What is music therapy. American Music Therapy Association website. musictherapy.org/about/musictherapy. Accessed May 4, 2018. Stetka, BS. The therapeutic potential of drumming and rhythm. Medscape website. medscape.com/viewarticle/886726. Published October 12, 2017. Accessed May 4, 2018. Fancourt D, Perkins R, Ascenso S, Carvalho L, Steptoe A, Williamon A. Effects of group drumming interventions on anxiety, depression, social resilience and inflammatory immune response among mental health service users. PLOS One. 2016;11(3):e0151136. doi: 10.1371/journal.pone.0151136. Vinesett, A, Price, M, Wilson, K. Therapeutic Potential of a Drum and Dance Ceremony Based on the African Ngoma Tradition. Journal of Alternative and Complementary Medicine. 2015(8): 460-465. Bittman BB, Berk LS, Felten DL, et al. Composite effects of group drumming music therapy on modulation of neuroendocrine-immune parameters in normal subjects. Altern Ther Health Med. 2001;7(1):38-47. Nunez, S. Medicinal drumming: An ancient and modern day healing approach. NeuroQuantology. 2016;14(2). neuroquantology.com/index.php/journal/article/view/939. Accessed May 9, 2018.